Like an ex you know is bad news, you gave in to that two-for-one special... five to eight times. And now that nasty hangover has you bedridden and swearing off the hard stuff again. 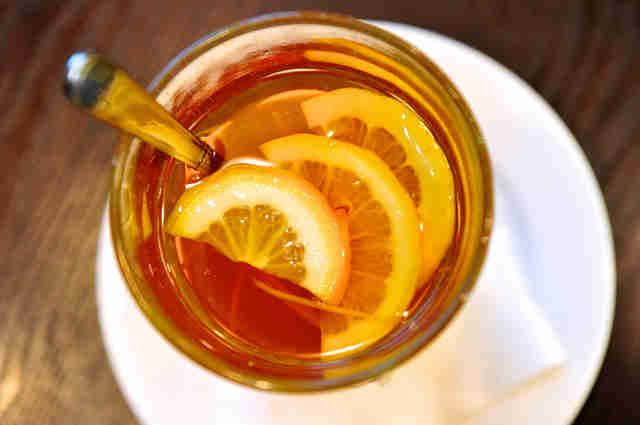 We've already told you about the best foods for a hangover, but what about beverages? Sure, you could just drink a generic sports drink loaded with fake sugars and artificial flavors, but take my advice and opt for one (or all!) of these 10 natural drinks instead. Alcohol is notorious for depleting your body of water and vital nutrients. Dehydration after a night of boozing is dangerous and can lead to dizziness, fatigue, vomiting, fever, and in some cases, death! 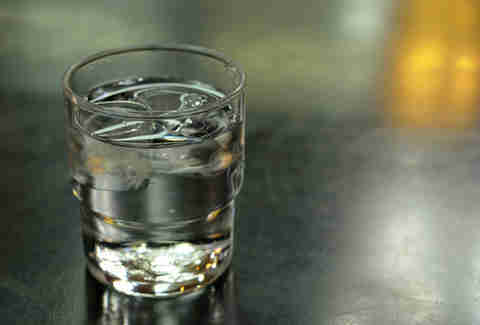 Remember to drink one 8oz glass of water between each tequila shot, and load up the next morning. Alcohol doesn't only make you lose fluid, it washes away essential electrolytes like potassium. Potassium helps control the amount of fluid in the body, maintains a healthy blood pH level, and is vital to cell function. 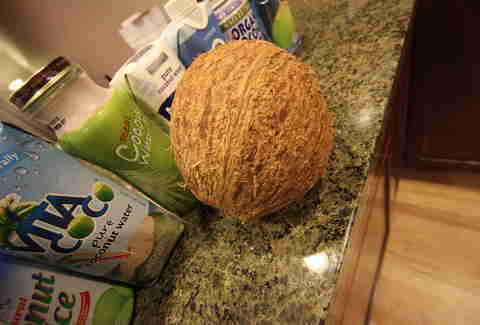 Coconut water has more potassium per ounce than a sports drink, and is free from artificial colors and sweeteners. So why are you still drinking sports drinks?? Excessive drinking can create free radicals, which increase your risk of disease, but the beta-carotene found in carrots helps remedy this. Ginger's anti-inflammatory compounds will help alleviate nausea, and apples are a great source of vitamin C. Plus the sweetness from the fruit's natural sugar will make your juice taste less like salad dressing. Calling animal stock "bone broth" was the biggest racket of the health food world yet, but that doesn't diminish its benefits! There's a reason why grandma gave you this stuff when you had the flu; it contains L-glutamine, which supports the health of your small intestine, and glycine, which supports detoxification. What Kind of Alcohol Gives You the Worst Hangover? Heavy boozing depletes another important electrolyte: sodium. Our body requires small amounts of sodium for nerve and muscle function, as well as fluid balance. 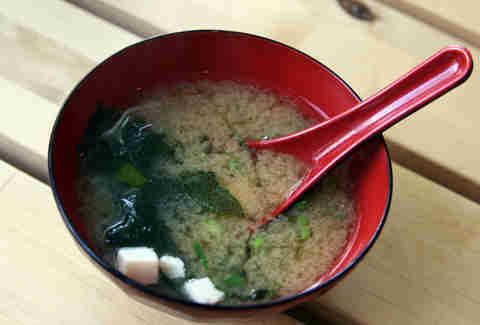 Fermented soy bean (miso) has an ample amount of the salty stuff, and also contains probiotics and antioxidants that help sooth digestion and protect against disease. Feel shaky from all those toasts last night? 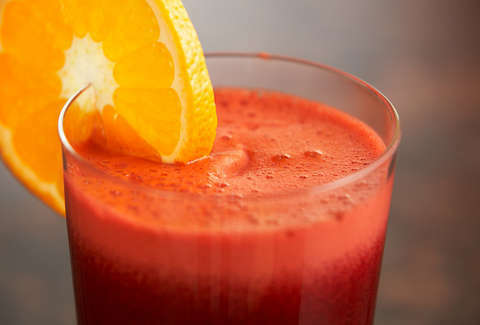 Have no fear -- you can easily hydrate and replenish all that lost potassium, vitamin C, fiber, antioxidants, and natural sugar in one shot with this smoothie: 1 banana, 1 cup of unsweetened Greek yogurt, a handful of beet greens, 1 tablespoon coconut oil, ½ cup strawberries, ½ cup coconut water, and ice. Adding fat to greens helps you absorb the nutrients so don’t be shy with that coconut oil! One of the major vitamins depleted by alcohol is vitamin C, which supports immunity and acts as an antioxidant. Antioxidants scavenge for free radicals, which wreak havoc on your bod. 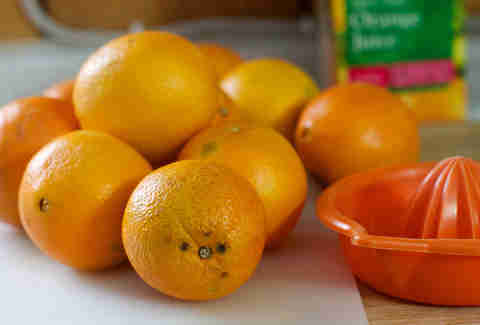 Vitamin C also helps your body produce collagen, which makes your skin young and plump! Ever wonder why your skin looks so lackluster after a hangover? Now you know! Alcohol intake also contributes to low blood sugar, which explains your sugar cravings. 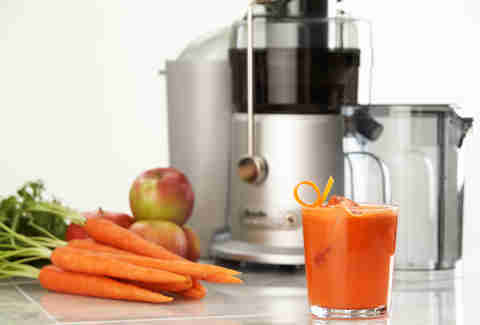 OJ is a classic cure that gives you the natural sugar you need for an energy boost. Ginger works wonders to alleviate nausea and lemon supports your liver, which is in overdrive trying to metabolize all that ethanol (alcohol). 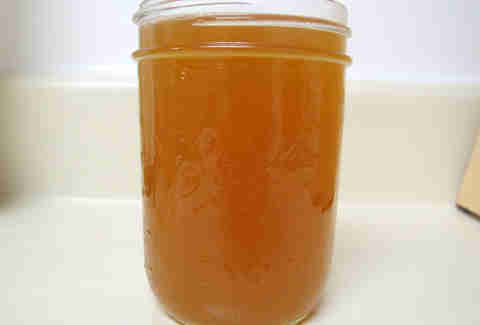 Boil some water and add fresh slices of ginger and the juice of half a lemon, and voila! Have Scientists Found the Secret to Beating a Hangover? The liver undergoes a lot of stress metabolizing all of that ethanol, so when it starts screaming SOS, cue the beets. 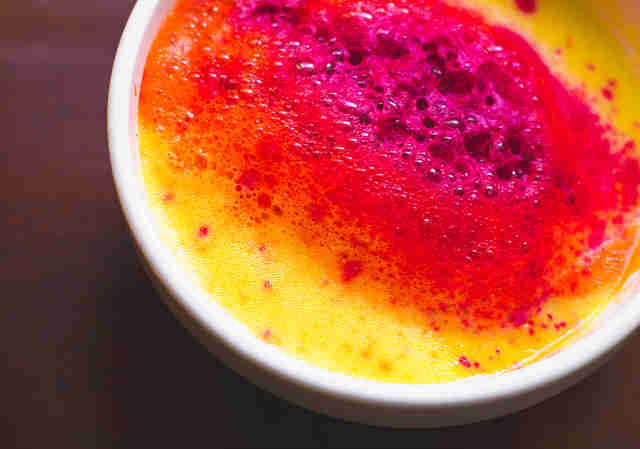 They contain betaine, which is an antioxidant rich in anti-inflammatory compounds. Add pineapples for a dose of that necessary vitamin C, and added flavor. Beet juice is kind of gross on its own. No hair of the dog here, folks! Since your body is now in withdrawal, alcohol might ease the migraine temporarily. But your best bet is to give your body a break from all the booze. 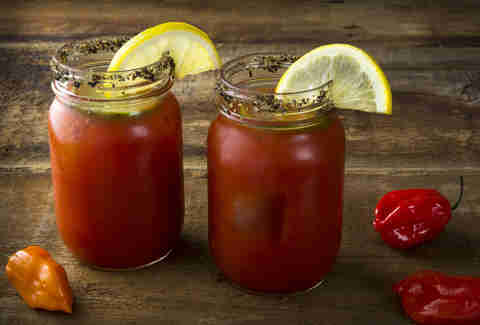 However, you can keep the tomato juice, lemon, olives, and celery. Tomatoes contain sodium, potassium, and lycopene, an antioxidant that helps with detoxification. 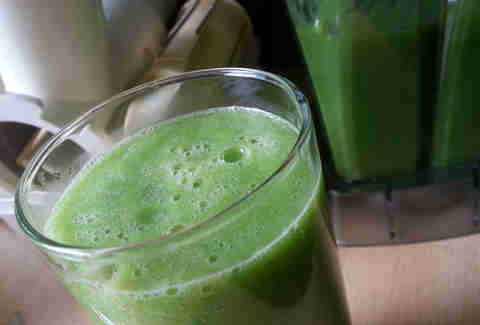 The lemon juice adds a nice kick of vitamin C too! Jacqueline Aizen is a registered dietitian and graduate of New York University, where she pursued her interest in nutrition studies. She has written for Prevention, and is currently a contributor for Be Light Living, and a health expert for ChickRx. Find her on her website.